Click on the button to view Frazer's form disclaimer. 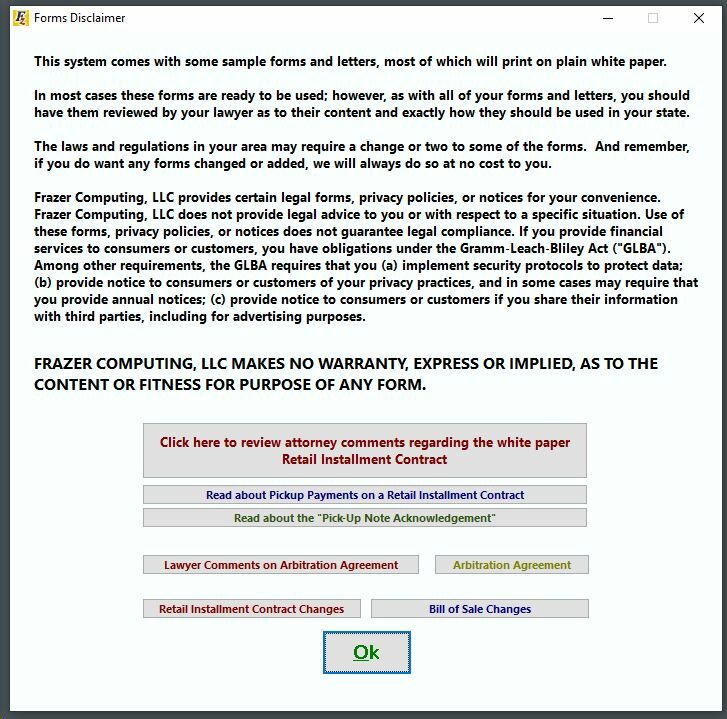 Click on in the Forms Printing screen for information about Frazer's white paper contracts. Click on in the Forms Printing screen for information regarding the disclosure of pick up note payments in the total of payments section of the retail installment contract.